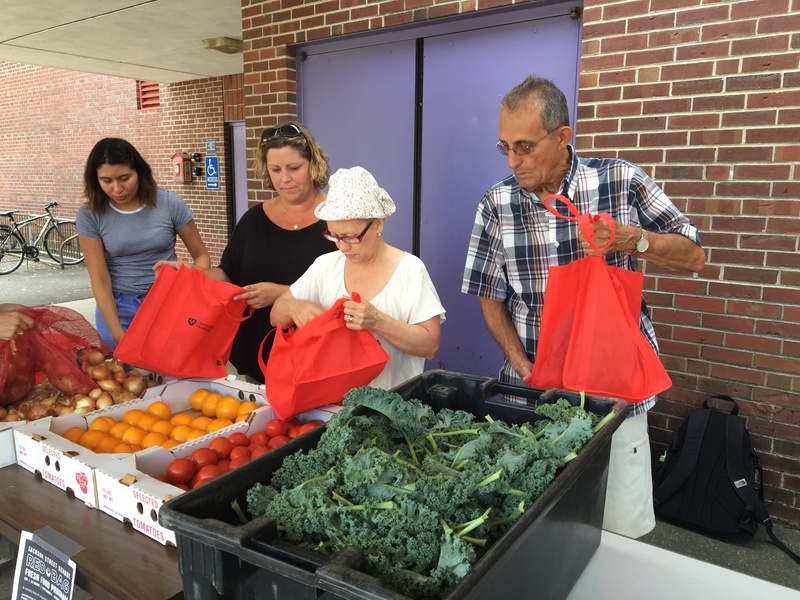 Recent NewsHome » Recent News » Featured · Food Access » Free Food is Keeping Us Busy! Free Food is Keeping Us Busy! Each summer, our Giving Garden grows thousands of pounds of fresh vegetables to donate to local food pantries and meal sites! 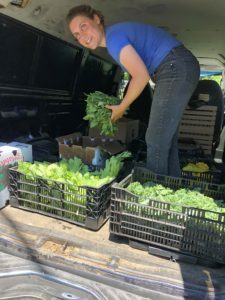 Every Monday and Thursday during the harvest season, Grow Food Northampton brings a van full of fresh, sustainably-grown produce from the Giving Garden to local food pantries and meal sites. The organizations that receive our deliveries are the Northampton Survival Center, Easthampton Community Center, MANNA Soup Kitchen, and Star Light Center. 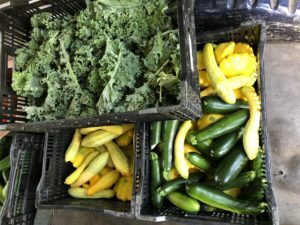 Prior to transportation, produce is kept in the cooler to ensure freshness and quality! 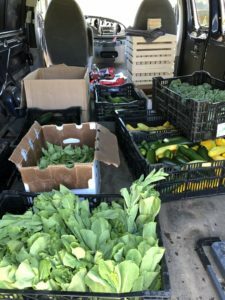 In 2017, we grew and donated over 8,500 pounds of produce, which spanned 22 varieties of crops. 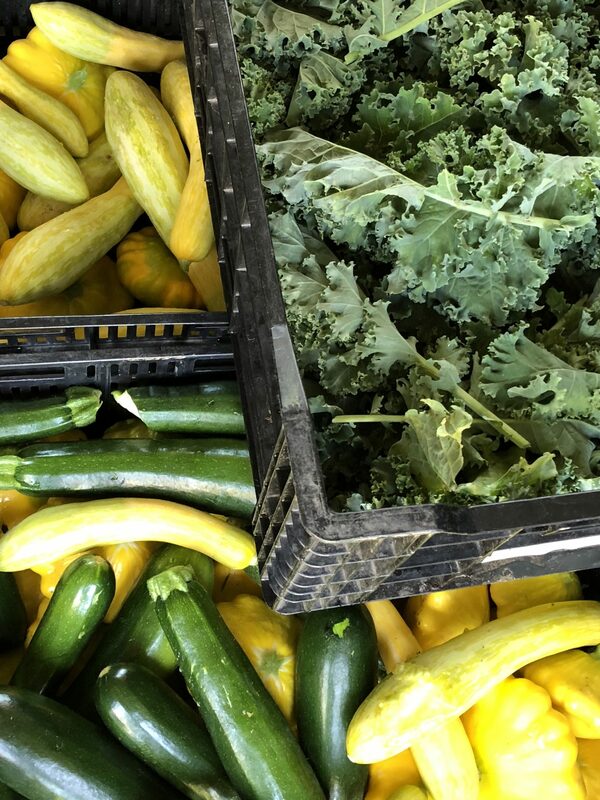 This year Grow Food Northampton has delivered a total of 2,789 pounds and it is only the middle of July! This year, we are growing: Basil, Beets, Beet Greens, Cabbage, Chard, Chives, Cilantro, Cucumber, Dill, Herbs, Kale, Lettuce, Parsley, Patty Pan, Scapes, Spinach, Summer Squash, Tomatoes, Turnips, and Zucchinis. Each year, the crop plan is guided by feedback from our partners, who tell us what works best in their kitchens and pantries and is popular with their clients. To maintain top quality, we use a mobile cooler, a heavily insulated cargo trailer modified to use an air conditioner to keep produce at optimal temperatures. As the scale of the Giving Garden operation has increased, this investment has made it possible to harvest at the ideal time, hold produce for a few hours or overnight, and deliver at convenient times for our partners. We were thrilled to see on social media what our friends at MANNA Soup Kitchen did with the basil and early tomatoes we delivered this week! Thank you Grow Food Northampton Your tomatoes and basil were the star of the show on today’s pesto chicken lunch. The Giving Garden originated with a small team of community gardeners working in two 20’x20′ plots, and has grown dramatically in the last four seasons to encompass half an acre with 80 beds, each 50′ long, rotating between different vegetable types and beneficial cover crops. 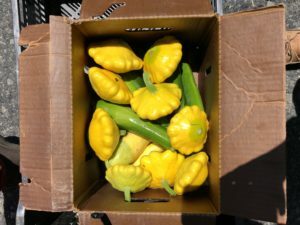 With an array of TerraCorps members, interns, volunteers, and staff, Grow Food Northampton has worked hard to donate fresh vegetables for food-insecure families. Ellena, pictured above, leads the effort this year, with intern Rose Cole-Cohen as her primary assistant and a steadfast crew of volunteers that brave heat and rain to contribute to the cause. As a part of her TerraCorps service, Ellena wrote a story about a great delivery; please check it out! 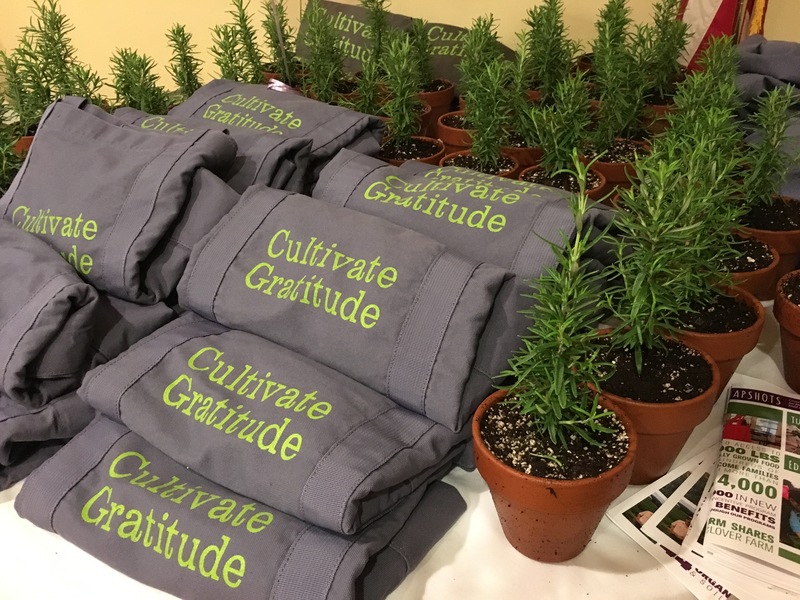 In 2015, Harvard Pilgrim Health Care Foundation’s Healthy Food Fund made a 3-year commitment to our food access work through a grant which allows the Giving Garden to produce all of the food for deliveries. To read about the grant given, click here. Because of this grant, we have been able to grow the Giving Garden and have had the opportunity to expand our market-based food access programs, such as the Red Bag Senior Share Program, and develop new ones, such as the Red Bag Family Share Program, all with the goal of ensuring the everyone in our community can eat healthy local food. 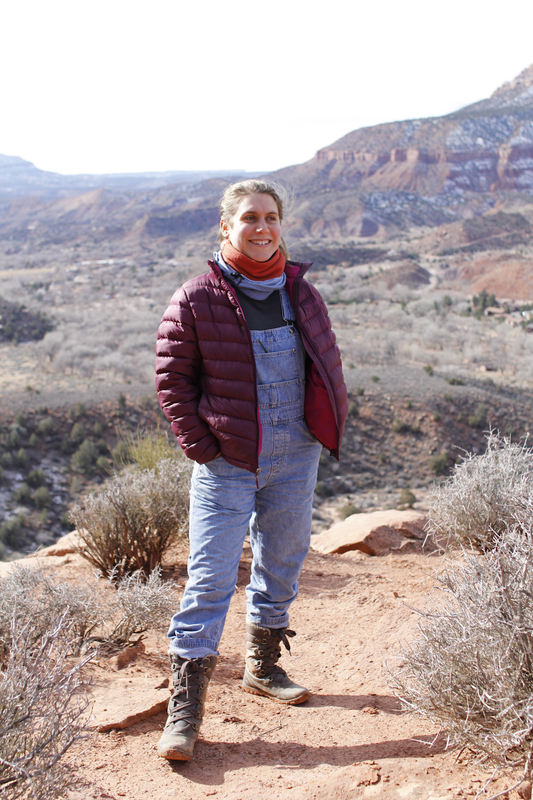 next post: A Word From a Community Gardener!